I can't quite describe the beauty of a wedding in Exmouth. There is the ruggedness of it, the raw untouched beauty that lies beyond the town in the protected enclaves of the National Park where the sea glimmers such a shade of turquoise and the earth so vibrantly red that you would think it has been Photoshopped. It's the quietness that I love though, where it is just the wind that whispers through the mountain ranges and the waves that crash onto the Ningaloo Reef. 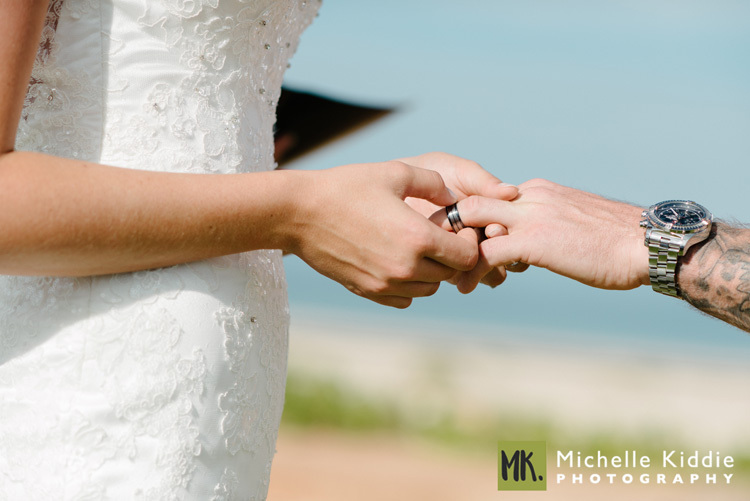 I love photographing weddings here - not just for the scenery but because I feel an instant rapport with couples who choose to wed here, and their connection with Exmouth. 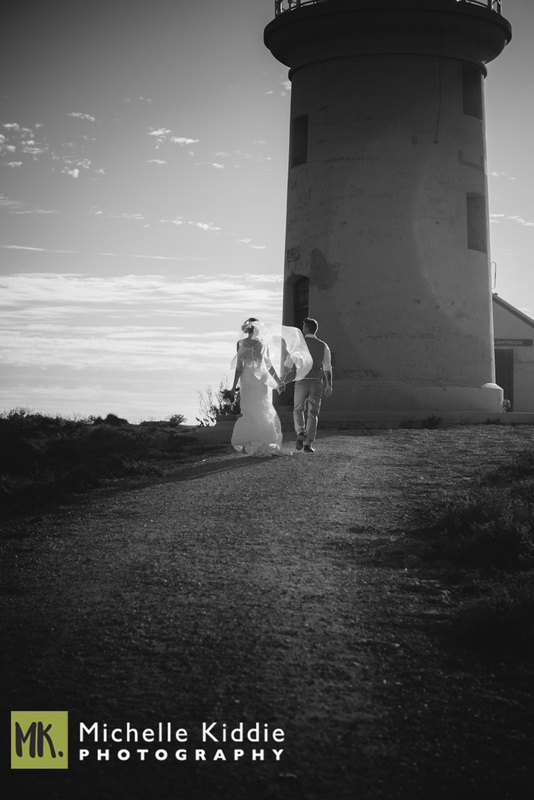 Tarna and Ross drove nearly 2000km from Kalgoorlie to Exmouth to get to their wedding - it was worth every kilometre for the magic. 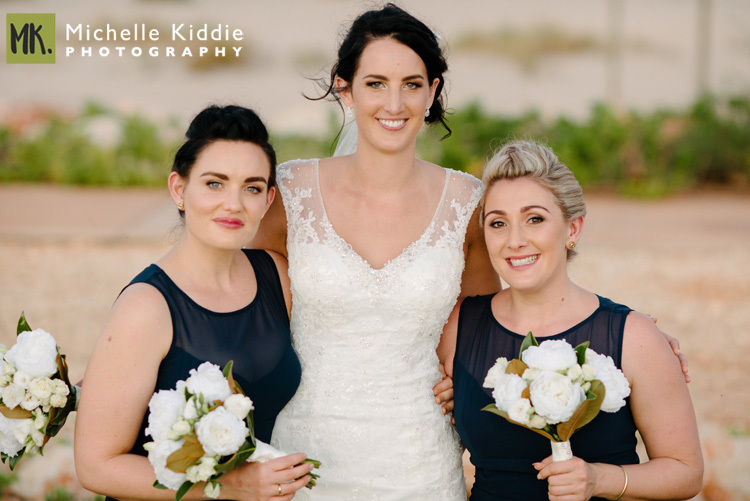 Ceremony and reception at Novotel Ningaloo. 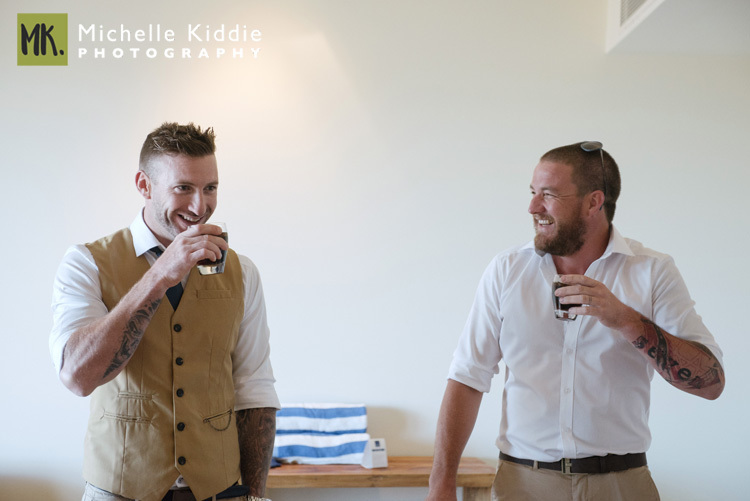 This was a wedding that epitomised chill. 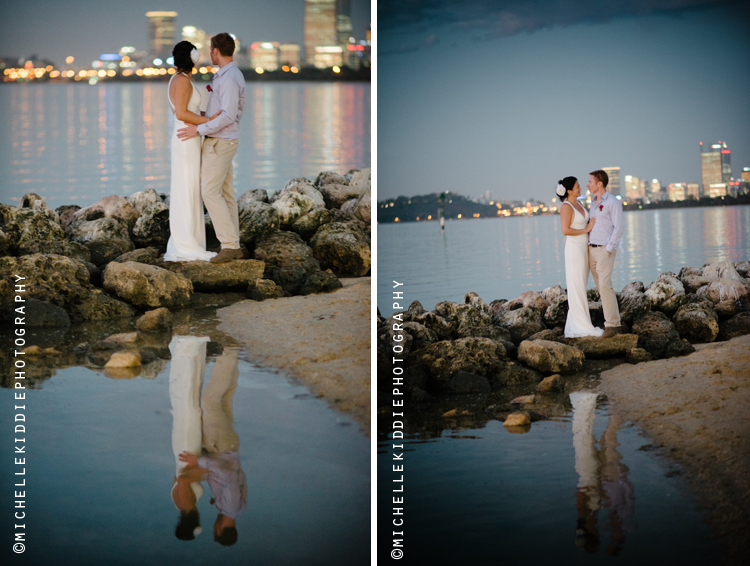 With just forty close friends and family Melanie and John arrived with them all via boat that sailed from the Barrack Street Jetty in the city to the South Of Perth Yacht Club where they had their nuptials on the beach. The reception followed in the marquee by the beach with lawn games, icy poles, jugs of pimms and plenty of wine and good food (I particularly loved the casualness of Melanie's bouquet using her graphic designer skills to create everlasting flowers!) The closeness and intimacy of it was a reflection of Melanie and John and made me feel like I was a guest rather than doing my job. In the words of Tim Winton, there is no place I would rather be, than when I was photographing Maddie and Adam's wedding. From Maddie's infectious laugh and the magic that happened when she was with Adam, to the bubbles by the beach with guests outside of the Kidogo Art House where they tied the knot and the amazing setting at the Maritime Museum created by Jess from the Butcher the Baker the Stylist Creator. 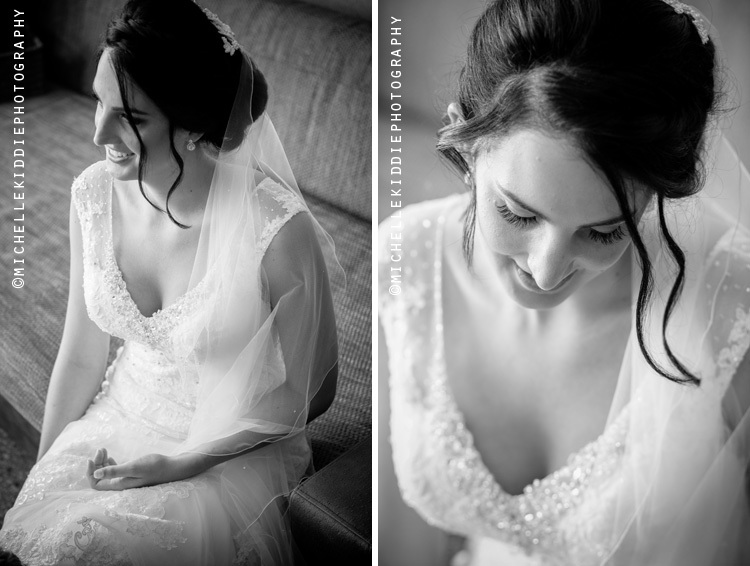 It was hard to select just a few images of their wedding to blog. It was indeed a photographer's dream wedding. Tis the season for a non white wedding dress I feel. I love Bronte's unconventional stunning floral dress. But more importantly I loved the way how it suited her personality. She was never going to wear a traditional white dress, Robin probably knew that much! 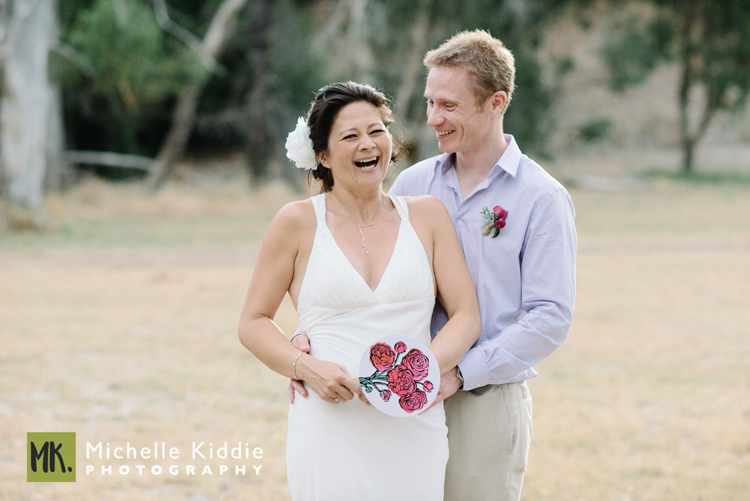 It matched their very relaxed and non traditional wedding at the Riverbank Estate Winery in the Swan Valley with stunning views of the vineyards as they celebrated with their friends and family. A wedding is as much about family as it is two people committing to each other. I love photographing weddings where family is everything. It shows the strength of the couple and you can see that their journey together will be strong with foundations built on solid family values. 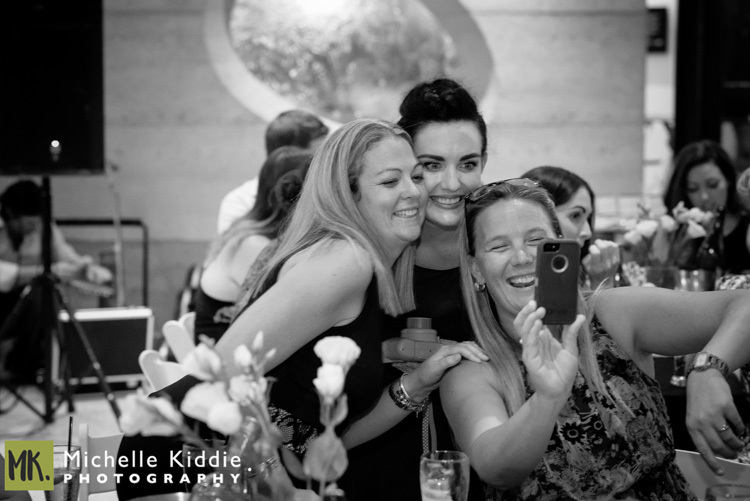 Michelle and Eddie's wedding at Little Creatures Brewery was one of those weddings that filled the quirky harbour side venue with so much fun and love and emotion it swept you up and made you feel alive, buzzing and part of a big vibrant close knit family. 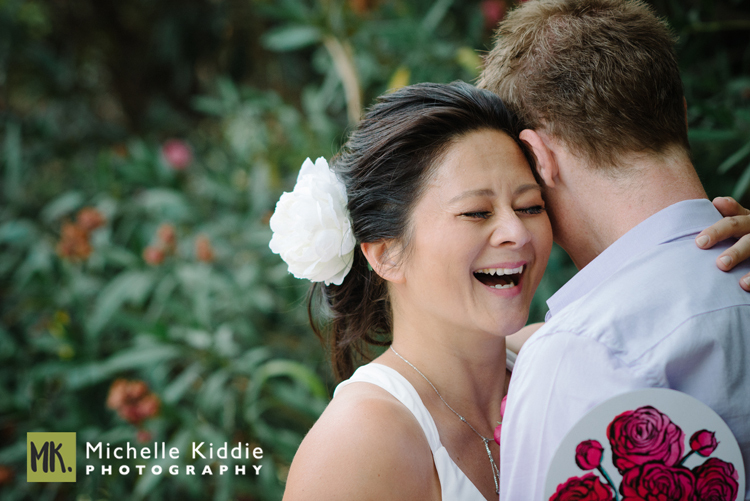 I love shooting weddings at Brookside Winery. Not just because it's a beautiful setting in the Perth hills, at the foot of a valley with vineyards gently rolling down green lush hills to a babbling stream that runs through the property. Not just because it never fails to provide the kind of lighting that photographer's dream about within its lush green gardens and golden vines. And not just because the food is so beautifully presented and equally mouth watering delightful, that you momentarily forget that it is not the main attraction of the day that needs to be photographed. No the main reason that I love photographing at Brookside Winery is that the couples who choose to have their weddings here are the no-fuss, remember what it's all about kind of people. They are always fun, relaxed and always always so perfectly matched. Sarah and Jack are all of that. 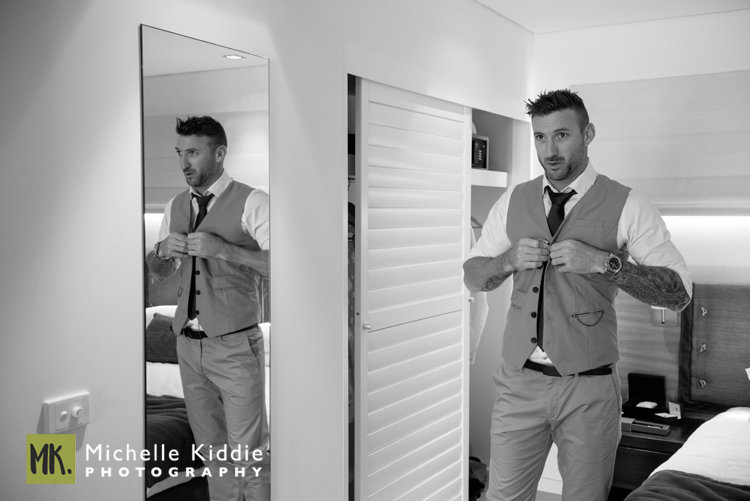 Photographing them together with all their friends and family at their beautifully intimate wedding was truly magical. Once upon a time in the last decade the city of Perth went to sleep when dusk set in. Now with all the cool new bars and restaurants to choose from, the place is swinging with jazz bars, fine dining and bars that can be found in little pockets off the beaten track. It also means the choice for cool wedding reception venues in Perth has widened considerably. Emily and Ross chose the very opulent and trendy 1907 Restaurant on Queen Street in the city for their intimate wedding reception, following their stunning ceremony at Harold Boas Gardens in West Perth. They waited half a life time for each other. They had almost given up. But when they finally met, they knew it was worth the wait. If you saw them together at their wedding at Matilda Bay you would know it too. They were made for each other. When a wedding reception is held in a brewery, you just know there's going to be a whole load thigh-slapping, arm linking kind of dancing in store for the night. And when it happens to be Little Creatures Brewery in Fremantle, you know it's going to be really cool too. Indeed, guests were dancing before the sun had even disappeared behind the harbour at Sarah and Elliot's wedding - this stunning spring wedding put a spring in everyone's step. When all the big plans for a wedding are ticked off, such as booking venues and photographers and florists and finding the dresses and suits, couples often turn their attention to the smaller details that stamp their style and personalities onto a venue. Usually this job lands on the bride's list (which is already usually very long!). But for Shevaun and Chris's wedding, Chris took this job on with as much dedication and care than any bride I have ever seen. From handcrafting the table number holders to spending hours hanging the draped ceiling and fairy lights at the Floreat Surf Life Saving Club, together he and Shevaun transformed the practical multipurpose room into something of a five star restaurant with spectacular views of the Indian Ocean. The commitment speaks for itself for these two gorgeous souls.